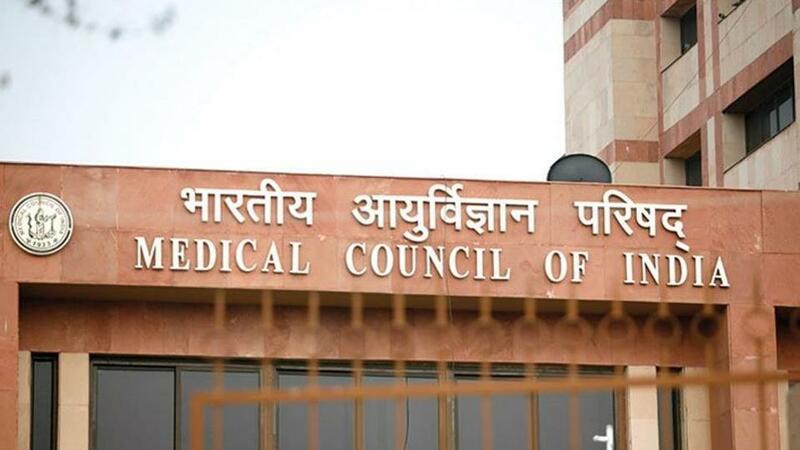 An amendment by the Medical Council of India (MCI) in the Postgraduate Medical Education Regulations has left over 1,000 doctors, pursuing their postgraduate medical courses (MD/MS, MCh and PG Diplomas) in different medical colleges in the state a bit worried. Though the MCI sought to settle a three-year-old controversy regarding the pass marks in PG courses with this amendment, PG students said the amendment would make clearing the PG exams more difficult for them. Earlier, obtaining a minimum of 50 percent marks in theory as well as practical separately were mandatory for passing the PG exams. Exams for MS, MD, MCh are held at the end of three academic years (six academic terms) and for the diploma at the end of two academic years. Now, in its amended regulations (Postgraduate Medical Education Regulations, 2018), the MCI with the sanction of the Central Government has announced that besides getting minimum 50 per cent marks cumulatively in all four papers for degree examinations and three papers in diploma examinations, a student has to obtain no less than 40 per cent marks in each theory paper. Obtaining of 50 percent marks in practical examinations will be mandatory for clearing the examinations as a whole in the said degree or diploma examination, read the amended regulation. Three years ago, two letters of the MCI regarding the pass marks in PG courses had stirred a controversy in Punjab. On January 28, 2015, and February 11, 2015, the MCI had written two letters to all medical universities and colleges in the country. According to these letters, every PG candidate had to get minimum 50 percent marks cumulatively in all four theory papers and not less than 40 percent marks in each paper to clear the exams. On the basis of these letters, Baba Farid University of Health Sciences (BFUHS) in Punjab introduced this formula in May/June 2016-PG exams. As many as 126 out of the total 480 MD/MS and post-graduate diploma courses’ medical students in the six medical colleges in the state flunked the exam that time. Forty-three of these students had approached the Punjab and Haryana High Court, challenging the new “pass formula”. Students claimed that the university had violated the Postgraduate Medical Education Regulations by declaring all students as failed that acquired 50 per cent marks in aggregate but could not achieve 40 per cent marks in each paper.While the BFUHS relied upon the MCI’s January and February 2015, letters, the students claimed that these letters were not made part of the Regulation. So many of these students get the benefit of this lacuna and they were declared as pass on the basis of their aggregate 50 percent marks.Now filling this lacuna, the MCI has amended the regulations on April 5 and informed all universities to stick to the newly amended regulation. Now besides getting 50 percent aggregate marks in all four papers in MD/MS, acquiring minimum 40 per cent marks in each paper are mandatory to make a specialist in the medical profession.